Earlier this year I published a review article addressing pediatric multivariate analyses in healthy brain development with MRI. Multivariate analyses are statistical and technological methods for evaluating multiple measurements at the same time. Combinations of physiologically meaningful biomarkers (measurements) can be useful for the detection, characterization and diagnosis of a wide variety of pathological conditions as departures from expected growth trajectories of healthy brain development. My paper was published in the journal Frontiers in Neuroanatomy and can be accessed here. This article was published in an open access journal, which allows anyone interested to read it (as opposed to so many academic journals which keep their articles behind a paywall which typically limits the readership to other academics with appointments at institutions that pay a huge fee to provide their employees with access). Several interesting topics are reviewed in this article, including the identification of patterns of brain development, predicting brain age/maturity, identifying brain and tissue structures, performing shape analyses, studying gender effects in the brain, relating genetic information to brain MRI data, optimization of brain imaging and associated analysis, and the effect of the senses on the brain. If these topics of are of further interest to you I recommend reading the article. 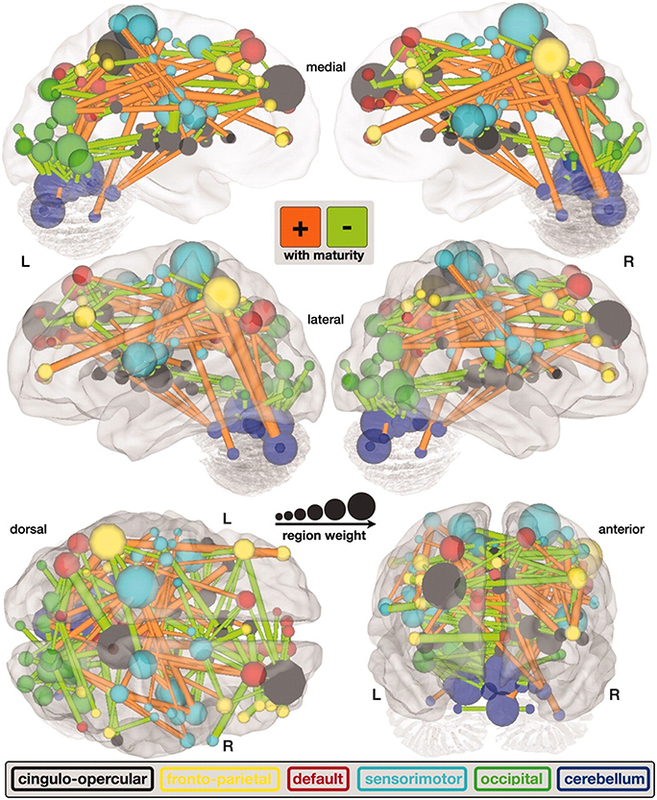 My paper also includes some illustrative examples from the scientific literature of brain connectivity as mapped out by machine learning technologies. J.Levman, E. Takahashi “Multivariate Analyses Applied to HealthyNeurodevelopment in Fetal, Neonatal and Pediatric MRI,” Frontiers in Neuroanatomy, 9:163 doi:10.3389/fnana.2015.00163 (2016).